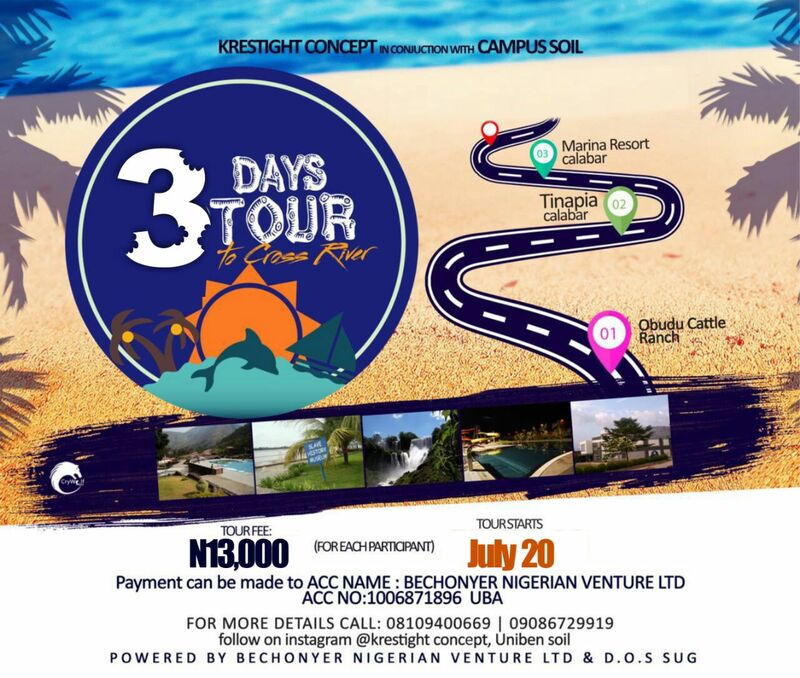 KRESTIGHT concept In Conjunction with CAMPUS SOil has organized a 3 Days tour to cross river. Not only for students, both married couples, even those about to wed. Places to be visited during this tour are listed below.. Supported by: Bechonyer Nigerian Venture Limited, D.O.S SUG. Date: July20th - July 24th. 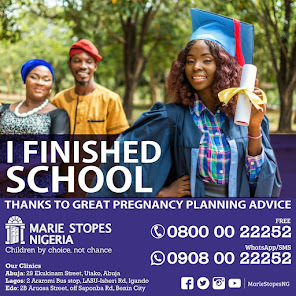 Do not miss the Date.